So for intl builds: I roll the rpms and resulting builds. For AU builds: I roll the rpms (which are the same as above, in the same repo), and Jerry rolls the builds with some AU specific customizations. For UY builds: Same, I roll the rpms (same repo), and Daniel or someone else in their team rolls the builds with Uy customizations. 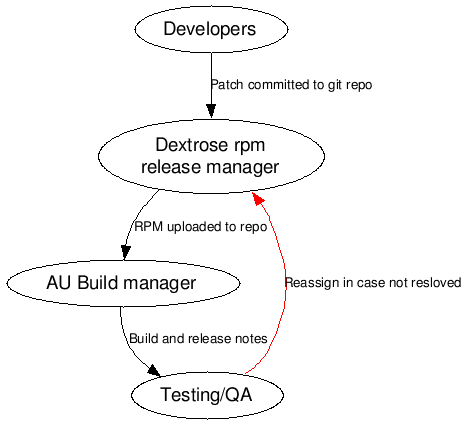 Submitting patches: Everyone has commit access to the OOB git repo, only restriction is that the patches should be tested before being committed.